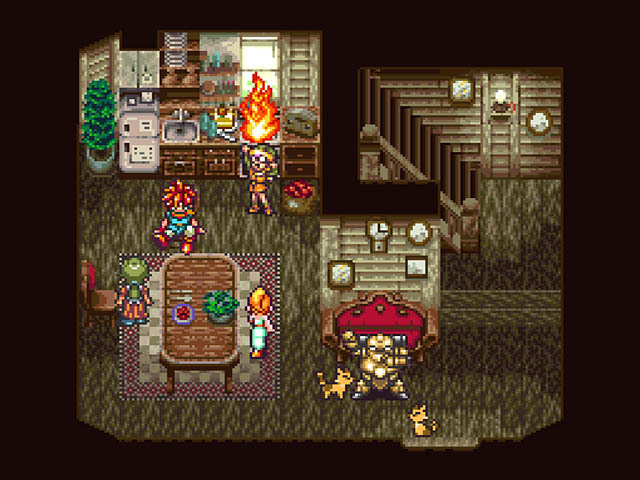 Crono, a master swordsman, is so excited about the millennial fair happening in his hometown, he oversleeps and nearly misses his friends newest invention displayed at the fair grounds. 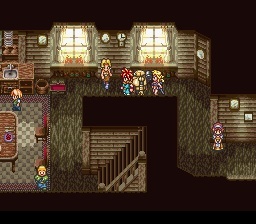 As he goes to the fair he bumps into a familiar face but Crono can't recognize her immediately. After helping the young girl find her family heirloom they both go to see the miraculous transporter invented by Lucca. 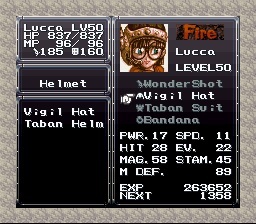 When Lucca asks for a volunteer Marlene is more than glad enough to help demonstrate after seeing Crono give it a shot. But something terrible went wrong, Marlene disappears. 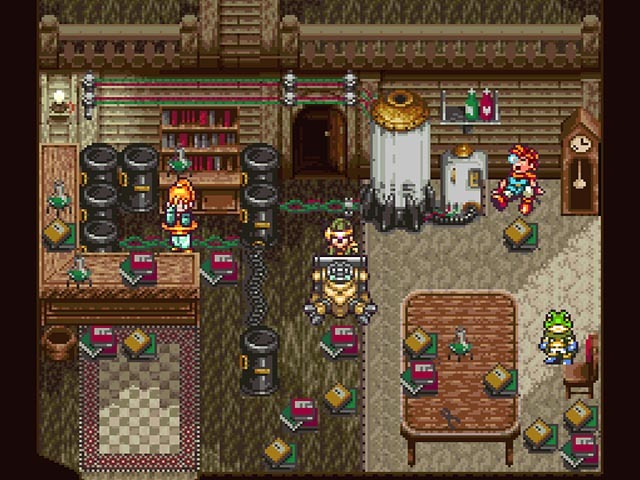 Picking up her necklace that was left behind, Crono jumps on the telepad to see if he can find her. 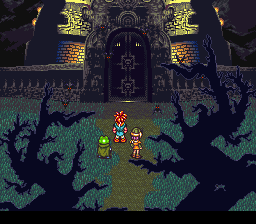 Through time and space Crono and his friends travel, making new acquaintances and new enemies. Did they stumble upon an accidental time portal or is fate calling to them from another place in time? With seven playable characters all with unique powers and abilities and hundreds of monsters and challenging bosses, this is truly a game of the ages. This was one of the best RPG's that I have ever played, hands down! I would equate this game to being very similar to the Final Fantasy series. The battles have the same wait/active meter that was uniquely belonging to Final Fantasy for a time, which make this game so much more enjoyable than most RPG's. 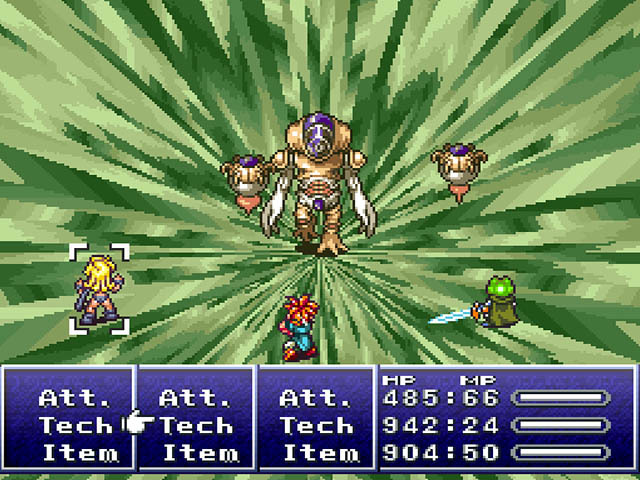 I had played all of the Final Fantasy games available on the SNES and was looking for another RPG that I would enjoy just as much. 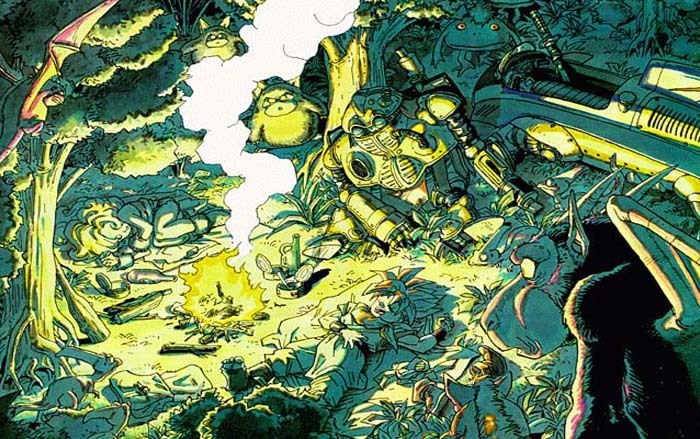 Chrono Trigger was definitely an excellent choice! The storyline is pretty good. You get to travel through different time eras throughout the entire game, which also makes this game stand apart from all the others. After the first half though, the story does begin to lack some, and your quest seems to be a bit aimless, but the gameplay is still spectacular so, what is there really to complain about? The soundtracks for this game were really wonderful as well! There are so many of them too, and rarely will you ever see a song repeated in another location. I felt that this game ended all too soon and needed a sequel terribly. It was really a wonderful find, and a must to any RPG fan! So much nostalgia playing this. 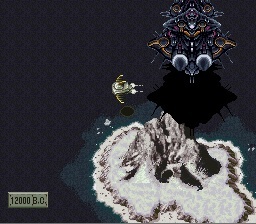 The game includes mostly fighting human devouring aliens. The art somewhat looks and feels like Dragon Ball. 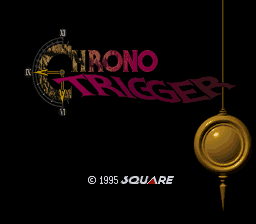 Join Crono, a red haired silent protagonist from the town of Truce, who gets pulled into a timey-whimey journey travelling through time when Marle, a girl she just met gets dragged into a portal created by Crono's friend Lucca's newest invention. His travels lead him to the middle ages, the far past and even the end of time and he makes the most peculiar friends such as a talking frog knight, a cavewoman and a robot. This classic still holds up as one of the best games ever even after all these years.